Here's an easy and cool diy for the weekend; masking tape magnets. 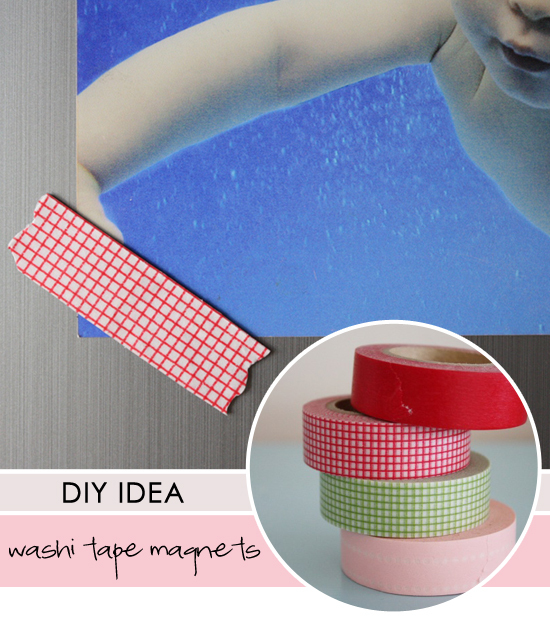 All you need is some really nice washi tapes and a piece of flat magnet. Head over at twirling betty's to see more details about this project. 1 comment on "DIY: Washi tape magnets"